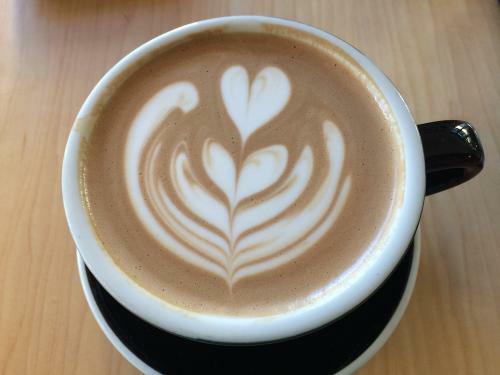 Here are four of our favorite coffee spots to snag some indulgent holiday brews. I love coffee, especially fancy specialty coffees. The more fanciful, the better. The holiday season is a perfect excuse to indulge. The cold weather and busy schedules mean we all need something to warm us up and keep us awake, and really, what can be better this time of year than taking a break to enjoy catching up with friends and family over a tasty drink? 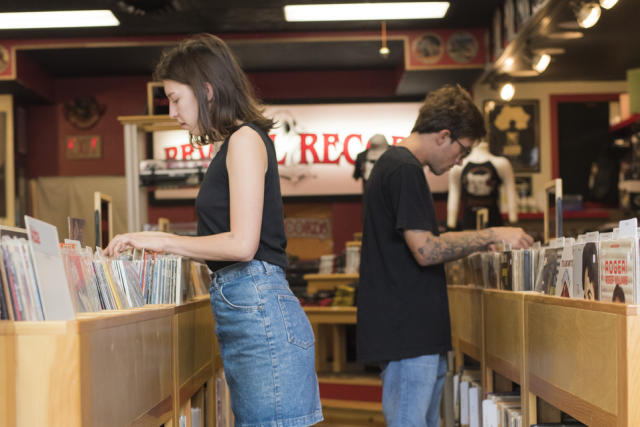 Here is a list of new favorites for keeping you buzzing right along into January. 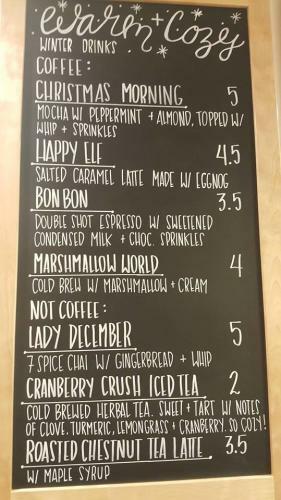 At each of their locations, The Living Room coffee shop is offering four seasonal specials and a bonus treat only available at the newly reopened main store on Cameron Street in Eau Claire. At each location, you can treat yourself to Santa’s Cold Brew, made with mint and dark chocolate; or try a variation like the Candy Cane Cold Brew made without dark chocolate. If hot drinks are more to your taste, try a seasonal twist on chai with the Winter Frost Chai, or get my favorite, the Cinnamon French Toast Latte. EC Insider Tip: get this at the main location where it’s served with homemade whipped cream. Along with the main location on Cameron Street, find The Living Room at the Mayo Clinic downtown campus (both hospital and clinic), and Mayo Clinic on Clairemont Avenue. Bonus EC Insider Tip: stop by the main store on Saturday mornings and enjoy some tasty waffles with your coffee. Located on Water Street, The Goat Coffee House is an Eau Claire favorite. They are warming up the holiday season with three seasonal drinks: a Mint Mocha, a Pumpkin Latte, and a Spiced Honey Vanilla Chai. If you prefer something more timeless, try their year-round specialty, the White Chocolate Latte. This tasty concoction consists of steamed milk, white chocolate sauce, and espresso, all topped off with whipped cream. Or try my favorite drink from The Goat Coffee House, the Dark Chocolate Almond Milk Mocha. Eau Claire Insider Tip: The Dark Chocolate Almond Milk Mocha is super yummy over ice! 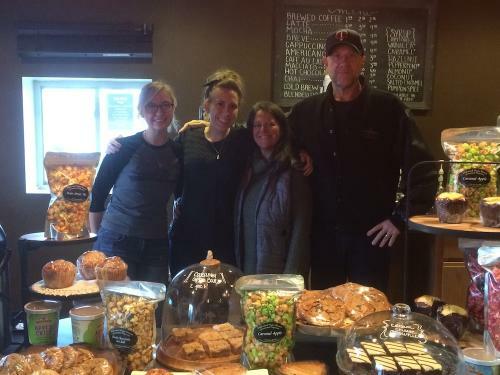 The newest addition to the Chippewa Valley’s coffee shop scene, Bridge Street Brew, opened recently in Chippewa Falls and has quickly become a local favorite. Their menu of holiday specials will turn even the biggest Scrooge into Buddy the Elf. The Bon Bon, a double shot of espresso mixed with sweetened condensed milk and topped with chocolate sprinkles, will sweeten your holiday. 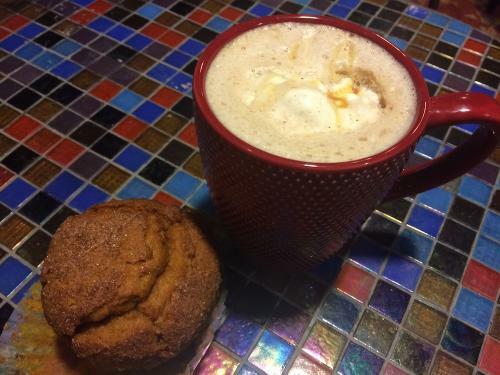 Speaking of Buddy the Elf, try the Happy Elf, a salted caramel latte made with eggnog. Bridge Street Brew also offers a holiday menu of tea and hot chocolate drinks. While not only for the holiday season, one can never go wrong with a classic Mocha, and ECDC makes one of the best. Rich and creamy steamed milk and just the right ratio of chocolate to espresso. It’s best enjoyed either curled up by the fire or at the counter looking out the windows at the activity on Barstow Street. Share with us your favorite holiday coffee drinks. Tag us on social media with #captureec!